Constructed of 2' wide panels that fold accordion style every 2' for easy storage and carrying. Inside filler is 1 3/8" thick cross-link. Cover is 18-oz nylon-reinforced vinyl for long wear and textured for positive footing and balance. 2" wide hook and loop on each end, so mats may be joined securely. 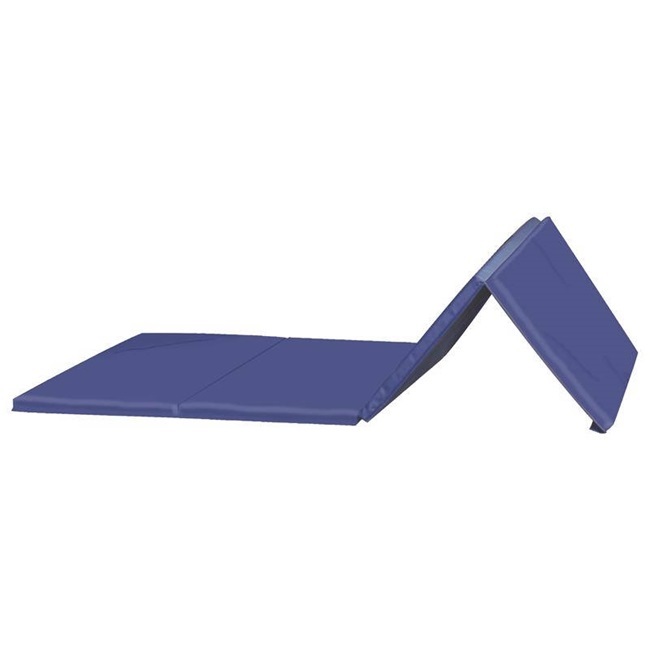 Also available with hook and loop on all four sides for larger mat areas.